Our Montebello Pest Control Exterminator will identify the source of the pest infestation & create a customized treatment plan to eliminate the pests. 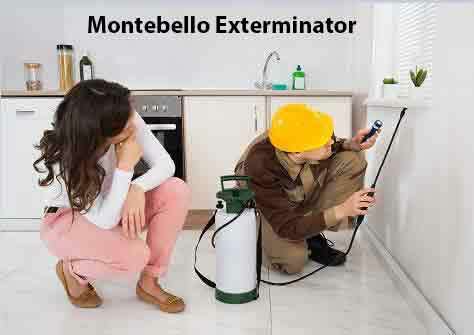 Let us be your Montebello Exterminator, give us a call today 1-844-305-8999. Ticks are nasty little critters. Not only is your blood their preferred food, but in the process of sucking it, they can transmit Lyme disease. There are two common types of ticks in NYS, the dog tick and the deer tick. Deer ticks are the species that carry Lyme disease. Start the process of getting rid of those ticks today. Our trained technicians will use powerful tick insecticides to flush out and eliminate your tick infestation. Tick Bites are dangerous, and can lead to rashes and diseases that will need medical treatment quickly. Dependable Exterminating is a full service Tick Exterminator. Silverfish enter a house on their own or in a container such as a box that has been stored outside. Silverfish are usually found in damp areas with high humidity, such as basements, laundry rooms, bathrooms, and kitchens. Silverfish eat a wide variety of food, especially carbohydrates. They feed on paper, photographs, wallpaper paste, starch in clothes, fabrics such as cotton and linen, and any foods rich in carbohydrates that they find in the house.